In January, Battery announced a significant investment in PageUp, a Melbourne, Australia-based maker of cloud-based, enterprise talent-management software. The company was founded in 1997 by Karen and Simon Cariss. Battery General Partner Chelsea Stoner and Vice President Paul Morrissey have joined PageUp’s board. In another healthcare-technology deal, Battery has invested in Curve Dental, which makes cloud-based, practice-management software for dentists. Battery General Partner Chelsea Stoner and Vice President Duncan Gills are joining the board of Curve, which has offices in Orem, Utah and Calgary, Alberta. Dave Cormack--who previously ran Battery portfolio company Brightree--joins as board chairman. Battery announced in March it has acquired Plixer, a Kennebunk, Maine firm that helps companies better analyze their computer network traffic in cloud and hybrid-cloud environments, including information flows related to security breaches. As part of the transaction, longtime networking-industry executive Jeff Lindholm joined the company as CEO. Three Battery team members—Russell Fleischer, Jordan Welu, and Sabrina Chiasson—have joined Plixer’s board. Clubessential, which makes technology for private clubs and the college-athletic market, has purchased ClubReady, which offers cloud software, payments solutions and professional services to fitness clubs and studios. Physical therapy and rehab-software company WebPT has acquired BMS Practice Solutions, which offers billing and collections services to the rehab-therapy market. Forterro, a group of European ERP software companies, has acquired Silog, a supplier of ERP software for small to midmarket manufacturers of industrial products in France. It is Forterro’s third acquisition of a French, midmarket ERP software company. 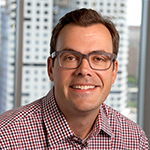 Jordan joined Battery in 2014 to focus on growth-stage and buyout investments in the software sector, with a particular emphasis on infrastructure software. Previously, he was the VP of corporate development at former Battery portfolio company Rogue Wave Software. Jordan is involved with Battery companies Alogent, Concurrent Real-Time, Enviance and Plixer.